If certain team members or other project stakeholders are doing more than just building a task list in Excel, have them use the Microsoft Project Import Export Template. This template can be used in Excel to build a project with tasks, resources, and assignments. Then you have a properly formatted worksheet for many of the essential elements of a plan for importing into Microsoft Project. 1 In Microsoft Excel, click File, New. 2 In the New Workbook task pane, click General Templates. 3 In the Templates dialog box, click the Spreadsheet Solutions tab. 4 Click Microsoft Project Plan Import Export Template and then click OK. Note If the Template is not in the Templates dialog box (which might be the case if you're working with Excel 2000 or earlier), close the dialog box and then click File, Open. Browse to the Office template directory, which is typically \Program Files\Microsoft Office\Tem-plates\1033. In the Files Of Type list, click Templates. Double-click the Projplan.xlt file. 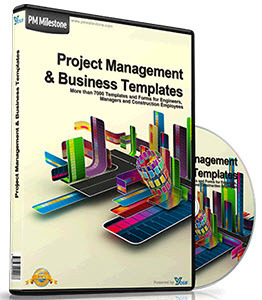 The template creates a new file with columns that correspond to many commonly used fields in Microsoft Project. There is one worksheet each for tasks, resources, and assignments. A fourth worksheet, labeled Info_Table, provides general information on how to use the template. The data fields are set up so that when you fill in the worksheets and export them into Microsoft Project, you don't need to map your data. If you decide to add data in extra columns (fields), Microsoft Project will map that data to an appropriate field in the Microsoft Project data tables for you. At the bottom of the workbook window, click the tab for the worksheet you want to use. 6 Enter the data in the fields you want. You don't have to use all the fields in all the sheets; just the ones you need (see Figure 17-19). DciBaslsaT'l* «i6"<'|'T-'"|l> - fli. II $ loo-'» - ® . Ami - 10 - B I U m m m 11 $ % , tiS is ti t" _ ■ ft ■ A - . Figure 17-19. Use the Microsoft Project Plan Import Export Template to develop task, resource, and assignment information in Excel. 7 When finished, click Save on the Standard toolbar, and give the file a name. Make sure you're saving the new file as an Excel Workbook (*.xls), rather than overwriting the template (*.xlt). 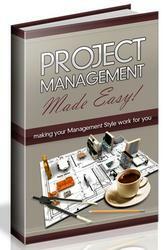 This workbook will become the source file when you import the data into Microsoft Project. 1 On the Standard toolbar in Microsoft Project, click Open. 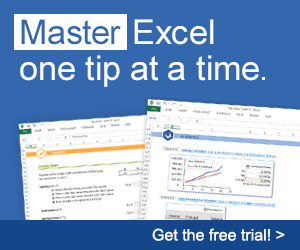 2 Go to the location on your computer or network where the Excel workbook is saved. 3 In the Files Of Type list, click Microsoft Excel Workbooks (*.xls). The workbook appears in the list of folders and files. 4 Click the workbook file and then click Open. The Import Wizard appears. 5 Read the Welcome page and then click Next. 6 On the Data Type page, click Project Excel Template and then click Next. 7 On the Import Mode page, specify whether you want to import the file as a new project, append the resources to the currently active project, or merge the data into the active project. 8 Click the Finish button. The new project opens with all the data populated from the template (see Figure 17-20). Figure 17-20. Using the template, you can import the project information from Excel to Microsoft Project without having to map individual fields.